Why the long face, Skip James? Haven't you heard Vin Scully's returning for 2014? Even Phoenix loves Vin Scully. Caruso used a different color for each PCL team in 1975 and maybe Skip's put off by their choice of lime green. Remember, it could be worse! 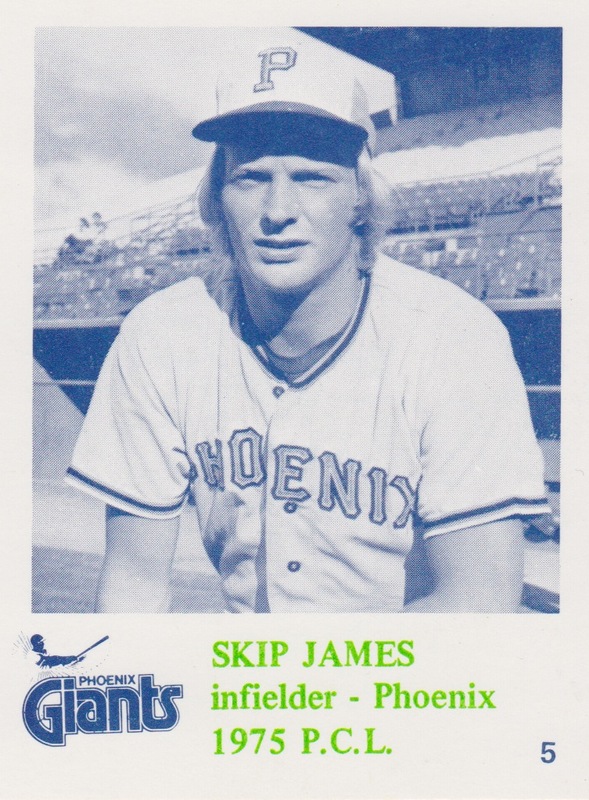 You could be the 1980 Tucson Toros. James himself didn't disappoint in AAA Phoenix, playing everyday for 5 seasons and earning a pair of San Francisco call-ups (career stats). 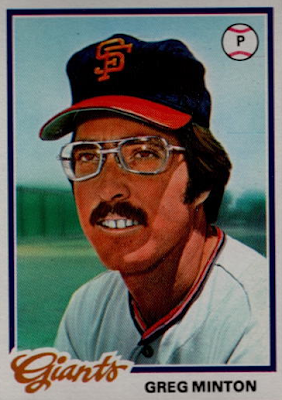 If "Greg Minton" sounds familiar, it might be because his 1978 card sprang fully-formed from the tip of a Topps airbrush. Greg's like a baseball pitcher from the Dutch Realist period. Value: This #5 cost $2 at MinorLeagueSingles.com and eBay sellers ask $20-40 for team sets.